The following appeared on non-Calvinist scholar Jack Cottrell’s Facebook page (dated July 25, 2011): QUESTION: Some say that the doctrines of Calvinism did not begin with John Calvin, nor even with Augustine (died A.D. 430)…. Over the past few years many, many people have asked me to respond to critics–most of them Calvinists. 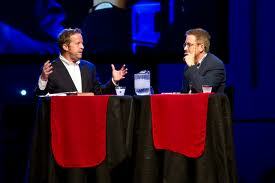 Many have also pressured me to enter into public debates with specific Calvinist theologians and radio personalities…. Follow the link to view the final installment, part 13 of distinguished NT scholar Scot McKnight’s review of the books For Calvinism (by Michael Horton) and Against Calvinism (by Roger Olson): “For and Against Calvinism 13”. Follow the link to view part 12 of distinguished NT scholar Scot McKnight’s review of the books For Calvinism (by Michael Horton) and Against Calvinism (by Roger Olson): “For and Against Calvinism 12”. Follow the link to view part 11 of distinguished NT scholar Scot McKnight’s review of the books For Calvinism (by Michael Horton) and Against Calvinism (by Roger Olson): “For and Against Calvinism 11”. 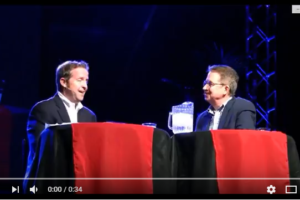 Follow the link to view part 10 of distinguished NT scholar Scot McKnight’s review of the books For Calvinism (by Michael Horton) and Against Calvinism (by Roger Olson): “For and Against Calvinism 10”. Follow the link to view part 9 of distinguished NT scholar Scot McKnight’s review of the books For Calvinism (by Michael Horton) and Against Calvinism (by Roger Olson): “For and Against Calvinism 9”. Follow the link to view part 8 of distinguished NT scholar Scot McKnight’s review of the books For Calvinism (by Michael Horton) and Against Calvinism (by Roger Olson): “For and Against Calvinism 8”. Follow the link to view part 7 of distinguished NT scholar Scot McKnight’s review of the books For Calvinism (by Michael Horton) and Against Calvinism (by Roger Olson): “For and Against Calvinism 7”. Follow the link to view part 6 of distinguished NT scholar Scot McKnight’s review of the books For Calvinism (by Michael Horton) and Against Calvinism (by Roger Olson): “For and Against Calvinism 6”. Follow the link to view part 5 of distinguished NT scholar Scot McKnight’s review of the books For Calvinism (by Michael Horton) and Against Calvinism (by Roger Olson): “For and Against Calvinism 5”. Follow the link to view part 4 of distinguished NT scholar Scot McKnight’s review of the books For Calvinism (by Michael Horton) and Against Calvinism (by Roger Olson): “For and Against Calvinism 4”. Follow the link to view part 3 of distinguished NT scholar Scot McKnight’s review of the books For Calvinism (by Michael Horton) and Against Calvinism (by Roger Olson): “For and Against Calvinism 3”. Follow the link to view part 2 of distinguished NT scholar Scot McKnight’s review of the books For Calvinism (by Michael Horton) and Against Calvinism (by Roger Olson): “For and Against Calvinism 2”. Follow the link to view part 1 of distinguished NT scholar Scot McKnight’s review of the books For Calvinism (by Michael Horton) and Against Calvinism (by Roger Olson): “For and Against Calvinism 1”.